What's Your Staff Best At? Map Their Competencies and Find Out! Many tasks in a modern company must be performed by skilled and competent employees. The question of employee competencies is also extremely important when looking for a replacement of a critical team member. The “old” way of just putting an ad in a recruitment portal with a list of semi-generic requirements for the position just isn’t cutting it anymore. Imagine this... You have have a customer support desk with 1 French speaker. Next time you are looking for a member into your international sales team, add French proficiency to the list, so in case that one French speaker in the customer support desk is on sick leave you will have a substitute. So do I have you rattled up? What do I do if one of my senior staff member leaves? Who will do their job until someone takes over? You probably already have a set of position profiles in your core HR system or, at the very least, specific job description documents, which get signed along with contracts. Go through them and map specific unique skills and competencies, which are a must have and cannot be learned reasonable quickly on the job. Map those in Excel or create a respective form in Upsteem or similar tool. Forward profiles of various positions to area or department managers or have a quick meeting with them. The goal is to make sure that these skills match the professional competencies and expectations of respective managers. Alter and update the maps as needed. Once you are happy with complete position profiles, it’s time to get some solid data. 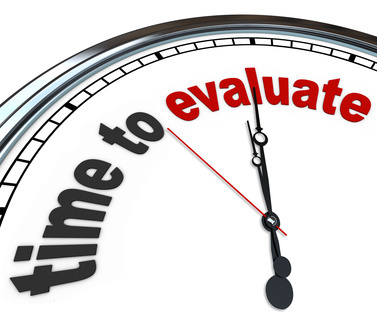 You want to get evaluation of all competencies and skills of all employees from both the employee AND their superior. This is crucial for generating a proper competency map and extracting maximum value from it. This is the most daunting part, if you don’t have a proper tool, I’m afraid. Upsteem.com has an excelling way of running these reviews, but with a small number of employees even Excel can suffice. Just make sure that review levels are simple, logical and allow you to pivot and visualise results. There are several key nuances to evaluation of competency maps. Firstly, this is a great base for using and improving skills and competency of individual employees. By looking at discrepancies of self-evaluation and that by manager, discoveries can be made and used for individual follow-up. Secondly, level of particular competency or subset in each area or department, can tell you a lot about possible risks. For example, you have a team of 5 crane operators, 2 senior and 3 - junior, who operate 2 Liebherr cranes. Let’s assume that on the previously mentioned 0-4 scale, they scored 2,8 average with no irrelevant marks. Besides the obvious unacceptably low number, this immediately tells you that if one of senior operators were to leave or get sick, at least 1 crane would be un-manned for a while. 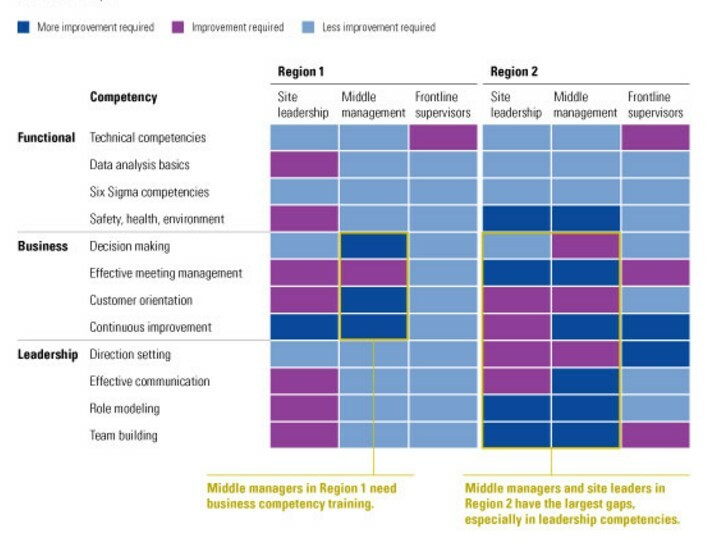 Thirdly, use this data to update your company’s competency matrix and present results in a meaningful way to department heads and management to get their feedback (and give them a dose of reality). A regular SWAT or similar 2D approach can be very visual. Lastly and most importantly, you can start planning training's and recruitment. By looking at particular skills in entire organization, you are much better fit to plan effective training courses for larger groups of people. Updating recruitment strategy to include some extra options to strengthen backup capabilities of skills available thought out organization is also a good idea. First competency reviews are often trial and error affairs, as there are going to be many extremes and false-positives (and negatives). You should tweak competency models of each position and review questions to make sure that they reflect actual needs and also provide better data for your analysis. While you don’t have to run full competency review cycle for entire organization each quarter, you might want do smaller evaluation quarterly to update the actual data on areas, where training's took place. Also, don’t forget to take into account employees moving within company, coming and leaving. Contact us to get a free evaluation of your competency model or plans to build it up. We will also be happy to show you, how everything can be mapped in Upsteem. Schedule a free 30 minute Skype demo HERE! 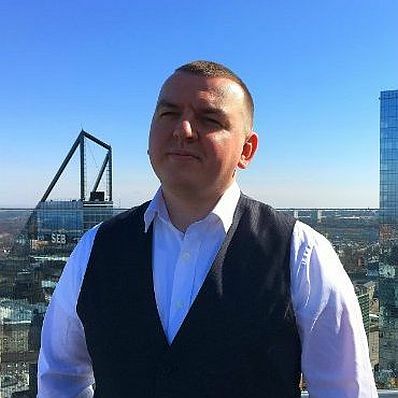 About author: After a decade of IT-sales, Vladimir Jelov switched roles and is focusing on helping customers pick the right tools for their job. A few years ago, he even used to claim that a gigantic tightly integrated ERP/HRMS is the best possible solution for most companies. He makes no such claims any more.